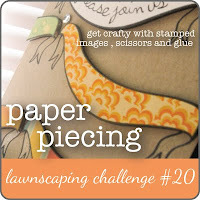 I know it's been a while since I posted a new Lawnscaping Challenge card on my blog. Unfortunately, the past several months have been pretty rough for me and there have been some tough changes going on in my life. So my friend, Laurel, was nice enough to let me have the past month off from the DT group. I have certainly missed being as involved in the blog world this year! 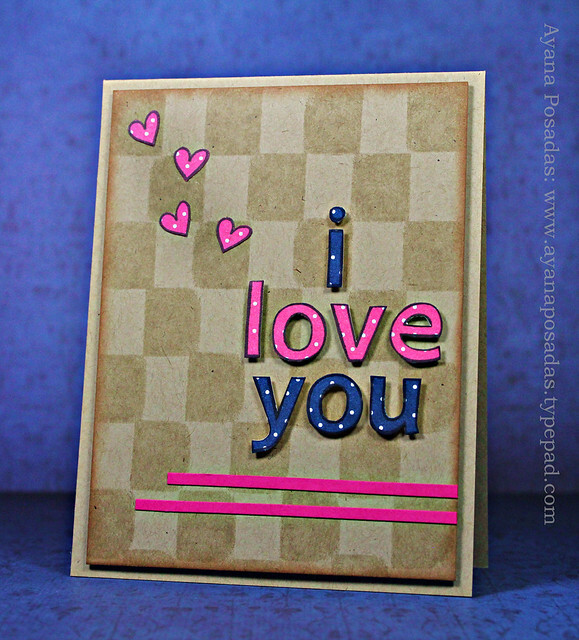 :( So I'm excited to share this card that I made for the latest Lawscaping Challenge #20: Paper Piecing. Hopefully you guys will get a chance to play along in this Paper Piecing challenge as well. Be sure to head on over to the Lawnscaping Challenge blog for all of the details and for even more fun inspiration from my fellow DT gals. I look forward to seeing your creations. Thank You So Much for reading! !